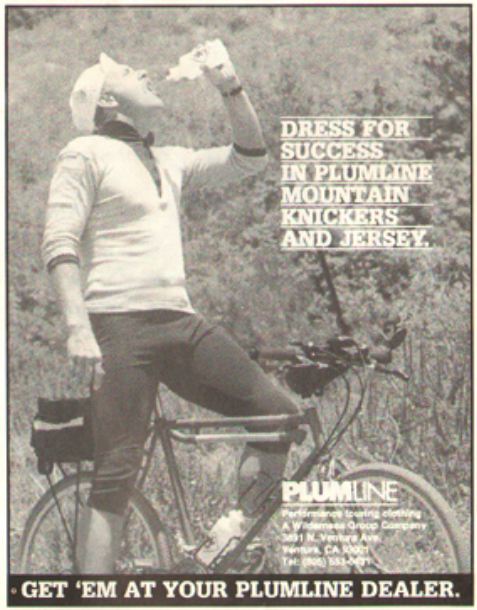 The original Plumline Sierra 7500 was a pioneering endurance mountain bike race in Bishop, CA. It was held only twice – early July in 1985 and late June in 1986. In 1985, Roy Rivers edged out Joe Murray by a wheel length in a sprint finish for the victory. The race was extremely well-received, and many more pros showed up for it the following year. The 7500’s legendary status is largely due to Cindy Whitehead’s awe-inspiring win on June 22, 1986. She snapped her seat off only a mile into the race. Photo Courtesy: Charles Kelly – A great shot of Cindy Whitehead racing without a saddle. By the way, it’s a 50 mile race with 7,500′ of climbing through rugged terrain reaching elevations over 11,000′. At the time, it was considered the most brutal of all mountain bike races. Anyway, Cindy rode 49 miles standing up with no saddle. After swapping the lead back and forth, she eventually beat Jacquie Phelan (pretty much unbeatable at that time), and it has gone down as one of the best efforts in the history of mountain bike racing. (Read Cindy’s account of the race in the Mountain Bike Hall of Fame). Mike Jordan won the male category in 1986. Official results weren’t recorded in the Norba News, but here is a partial list of Sierra 7500 race results compiled from different magazine and newspaper archives. Cover of Fat Tire Flyer: Courtesy of Charles Kelly – Jacquie Phelan leading, as Cindy Whitehead gains on her, sans saddle!! Photo courtesy of Charles Kelly – This is the start of the 1986 Plumline 7500 Challenge, the 50-mile race where Cindy Whitehead, extreme right, lost her saddle and won the race. Rider on the left is John Loomis, and behind him, Dan something from L.A. Light blue jersey behind Dan is Jungle Jon Poshman, a SF bike messenger/urban cycling junkie. 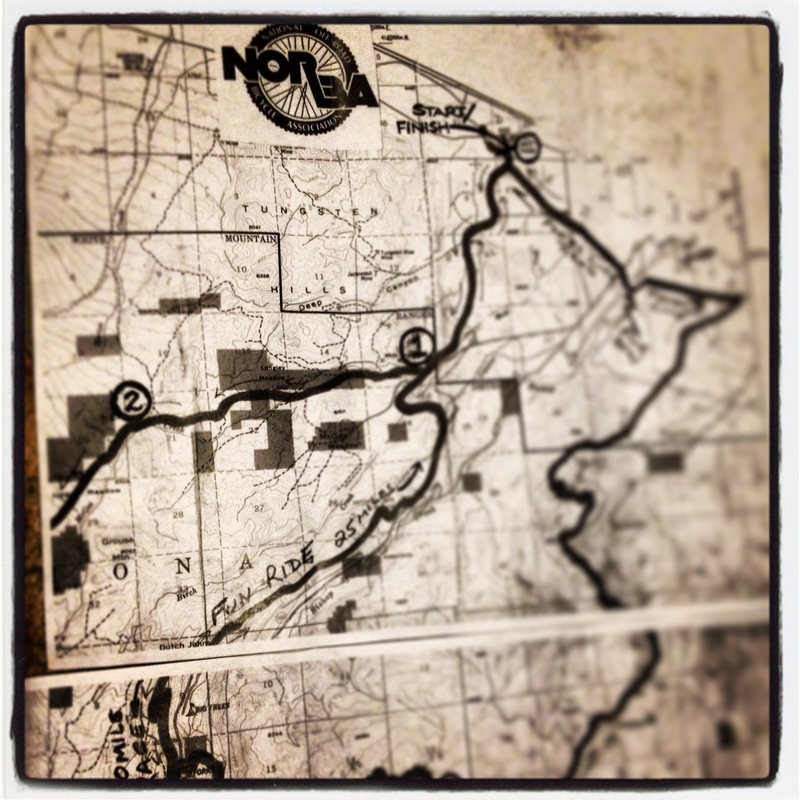 The original NORBA maps for the 1986 Sierra 7500. We also got ride beta from Charlie Kelly, one of the founders of NORBA, who was also instrumental in the race (see Charlie’s profile in the Mountain Bike Hall of Fame). He sent over some photos and helped us locate three magazine articles about the race (Fat Tire Flyer, Mountain Bike, and Winning Bicycle Racing Illustrated). There was the full 50 mile course and a 25 mile “fun ride”. Both began in the Millpond Recreation Area and headed out towards Tungsten City Rd for a short stint, before crossing McGee Creek and climbing sandy, rocky doubletrack (offering up hike-a-bike for some), until it reached Buttermilk Rd near the junction of Hwy 168. It continued to climb Buttermilk Rd, contouring around Grouse Mountain and past the turnoff for Horton Creek. It continued south/east until it merged with Hwy 168, near the junction with South Lake Rd. At this point, the 25 mile ride descended back to the start via doubletrack, some paved riding, and eventually back down the same climb the race started on. The “full monty” continued up a short paved climb on South Lake Rd, which brought you to Habeggers Rd- (see also The Coyote Traverse), a soft, steep 4wd route that zaps your energy as it rises to Coyote Ridge over 11,000′. Finally, you start a glorious descent down into Coyote Flats, and eventually back into Bishop/Millpond to cap off the epic journey. I rode them both. 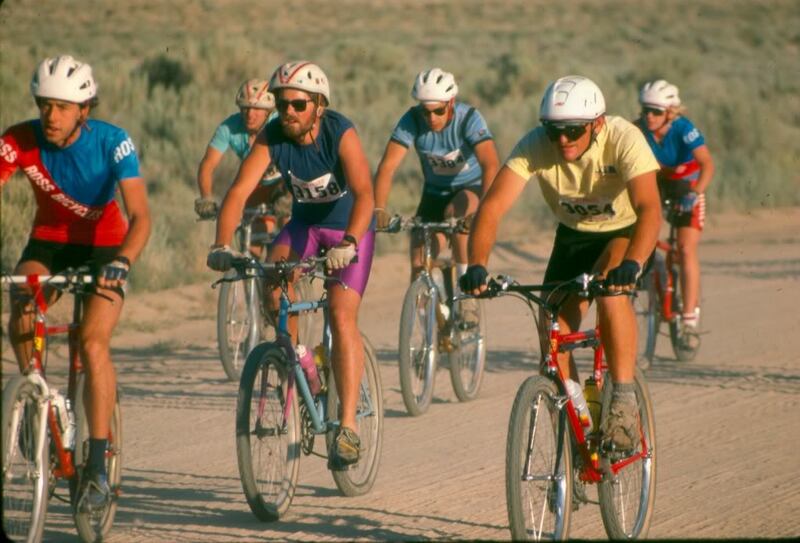 Sierra 7500: This was a classic point-to-point, self-sufficient, cross country race. There as a rider check-in at the top featuring food and water (11,000ft) with a required weigh-in to check for rider dehydration. You had to pass a certain weight % to be allowed to continue. There was no support on the rocky, 25 mile downhill. It was common to have multiple flat tires, with multiple snake-bites to repair. Constant braking (rim brakes) and summertime temps melted brake pads resulting in serious fade. I recall needing to stop, for both arm-pump and to let the rims cool. The race date was close to the summer solstice (June 20-21) for maximum daylight. There was a 12 hour window: 6am start and 6pm course sweep for stragglers and stranded riders. 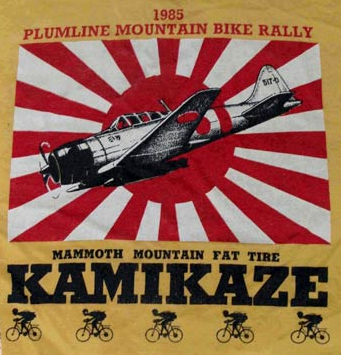 Some DH notes: The 1985 Plumeline Rally included the first Kamikaze downhill also, which was Don Douglass’ idea. 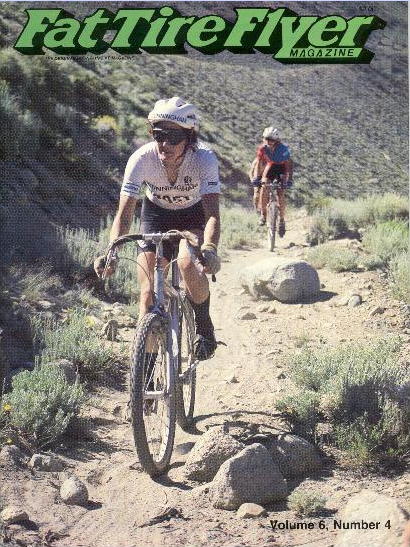 In 1986, Mammoth Mtn ‘took over’ the Kamikaze and integrated mountain bike racing into the existing Whisky Creek Stage Race (road event). Don hosted one more Sierra 7500 and created the Ultimate Kamikaze which was in the White Mountains from Schulman Grove to Laws via Silver Canyon. The logistics of the Ultimate Kamikaze were huge, requiring the riders to shuttle couple hours from Bishop to the Schulman Grove and back. 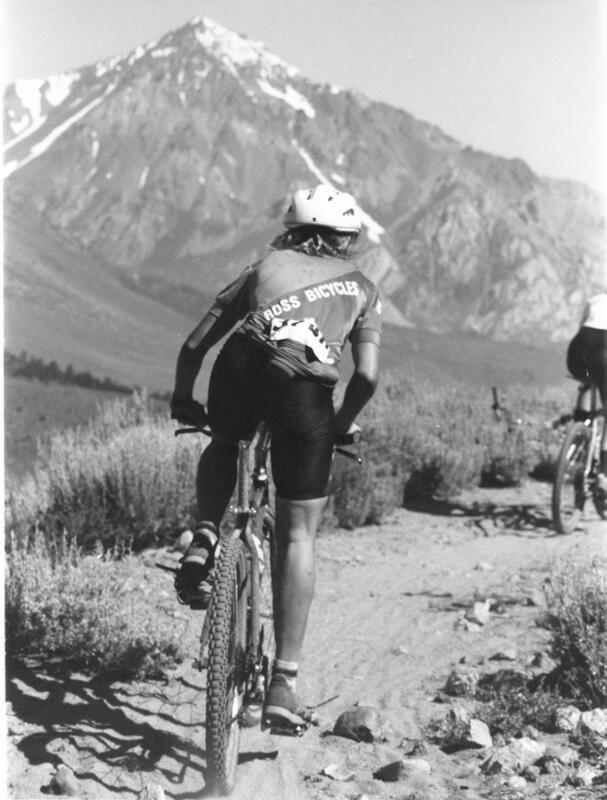 From there, it’s (Mammoth) mountain bike history.